Are you fond of floating village? Are you keen on sailing? Are you interested in staying in island? 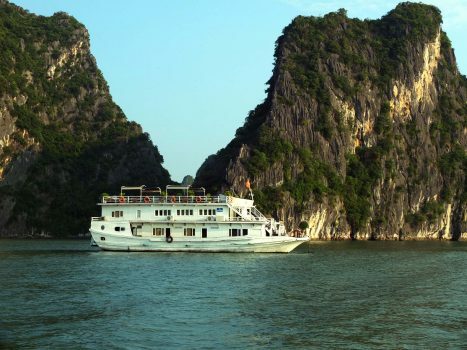 If most of the above questions get your yeses, taking a bus to Halong Bay might be a good deal for you.Now, let’s see what it offers. First thing first, the view is, I don’t know how to say. 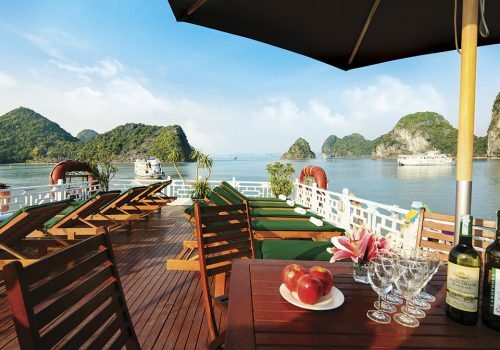 It is undeniable that Halong bay has breathtaking view. The limestone karsts in many shapes and sizes give it a signature outfit. 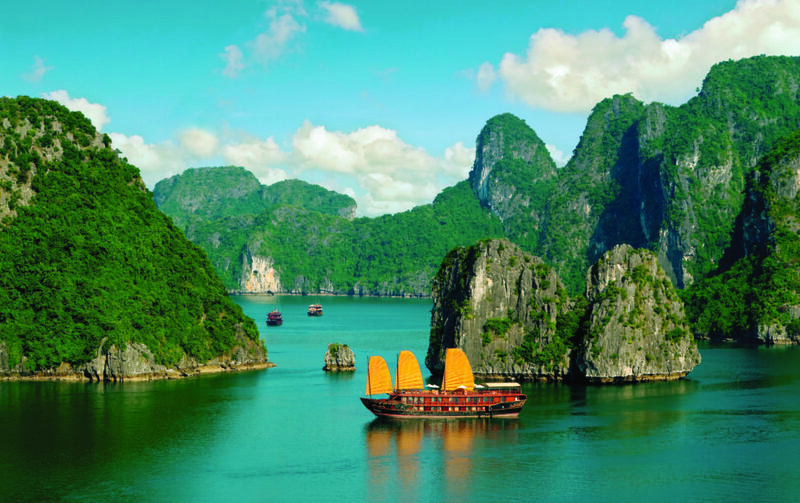 Its distinctive blue sea also makes Halong bay unforgettable. Have you known that the color at the bay can change just within a course of a day? It can be a perfect blue of the sky at noon, dark blue in the afternoon and blue with some green in the morning. My vocabulary is not rich enough to describe exactly what it is, but I am sure that your artist instinct will flourish there. It is hard to resist the demand for loving the great beauty. 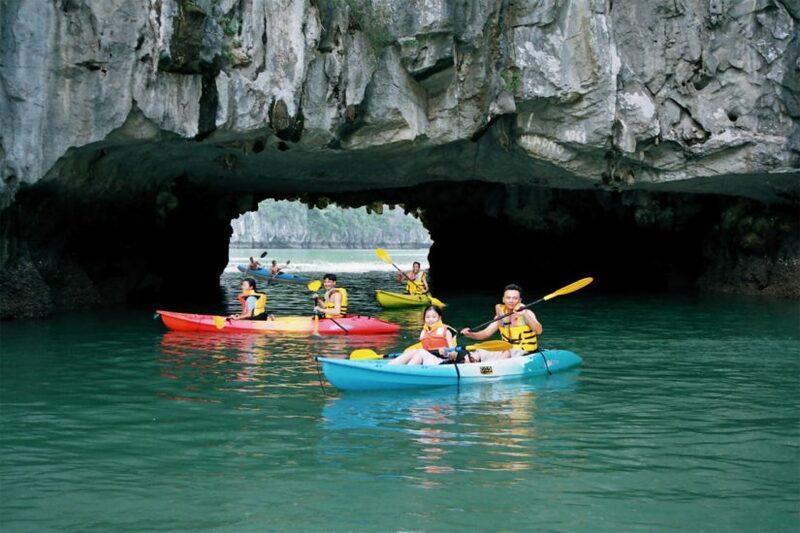 In addition, the appearance of some limestone karts makes the bay more alive. Have you ever heard that there are many stories behind each rock? Some of them are very famous. For example, the name of the Bay literally means that it is the place where a dragon lands. In Asia, dragon is stand for power, royal family and fortune. So maybe, by just visiting this wonderful land, you can bring some luck to your own home as well. Who knows? For some people, who love peaceful places, staying overnight on a junk ship or nearby island is a totally worthy experience. Let’s imagine. You are there, in the middle of the sea, under a thousand of stars. You are there, no hustle and bustle, no deadline and workload, no responsibility and burden. 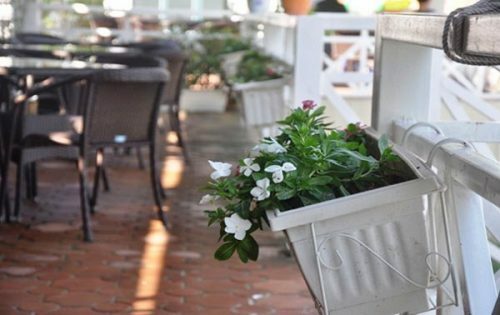 You are there, just enjoy the summer breezes and delicious seafood. You are there, close to nature and maybe, close to your inner voice as well. It is so wonderful and peaceful.